I had a friend of mine draw his version of the Nokia Tube, after all this hype that’s been going on and on about the handset. He’s not into cellphones at all, but his creation is reasonably funny, if you can take a geeky joke. 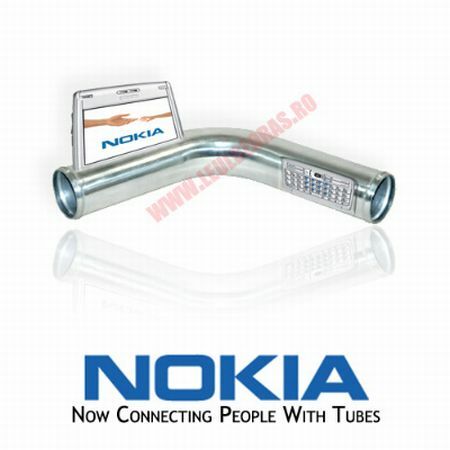 In other words, here’s the Nokia Tube/Pipe. Graphics by Doomy. Just remember you saw the thing here first, so credit us!